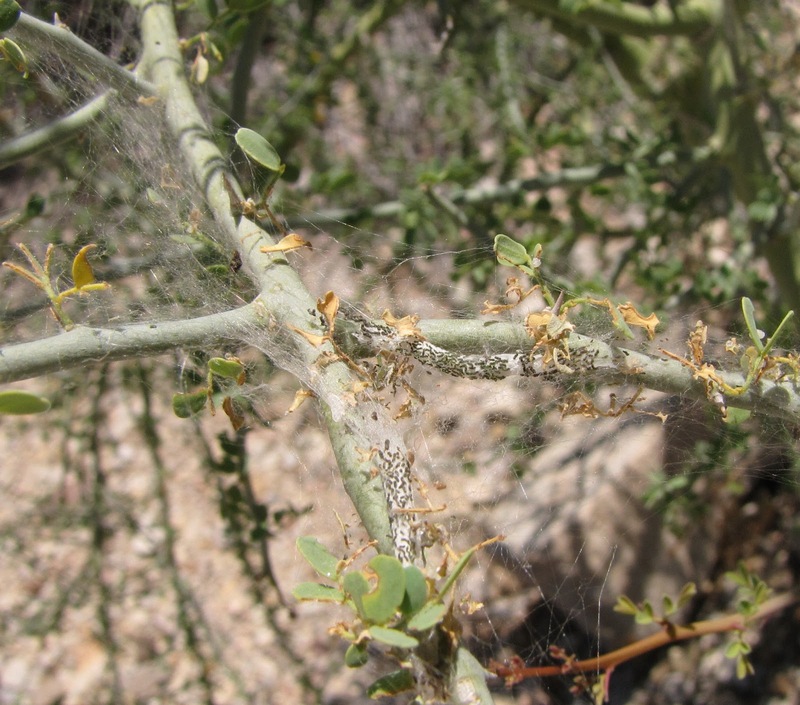 Palo Verde trees are a fixture of the Sonoran Desert landscape in southern Arizona, so it comes as something of a surprise that so little is known about one of the most obvious insects that lives on that plant. 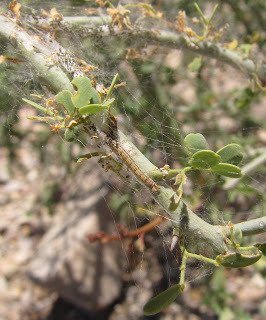 The Palo Verde Webworm, Faculta inaequalis, remains rather mysterious despite its abundance. This insect is a member of the family Gelechiidae (twirler moths), all of which are quite small. The adult moth varies from about 5-7 millimeters in length. Mature caterpillars are at most 12.5 millimeters. It is the activities of the larvae that are most conspicuous. Amazingly, I can find no images of the immature stages other than these that I took myself on May 25, 2010 in Greasewood Park on the western edge of Tucson, Arizona. 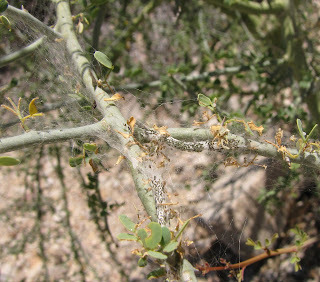 The caterpillars spin silken tubes along the lengths of twigs on the host tree. These silk sleeves they decorate with their droppings (frass), perhaps to increase the degree of shade they can enjoy during the heat of the day. The tubes appear to be connected to each other by a random network of additional silk threads, the “webbing” that gives these insects their common name. 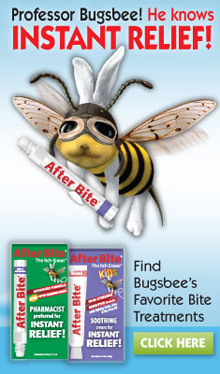 The larva ventures out during cooler hours to nibble on leaves or even the bark. Palo Verde trees photosynthesize both with their leaves and their limbs; and they don’t hesitate to shed their leaves during periods of draught. Damage done by caterpillars is therefore negligible, and Faculta inaequalis seldom, if ever, becomes more than a nuisance or cosmetic pest. The adult moths are not at all uncommon at lights at night, even in urban areas where the host trees are often planted as ornamentals. 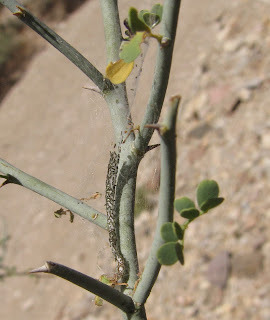 The Foothills Palo Verde, Parkinsonia microphylla, is the preferred host of this moth, and the tree is common in upland areas of the Sonoran Desert in coarse soils. Whitethorn Acacia (Acacia constricta) is an alternate, occasional host. Part of the problem in finding out more about this peculiar lepidopteran is that it has previously been known by different scientific names, including Gelechia inaeaqualis and G. clistrodoma. 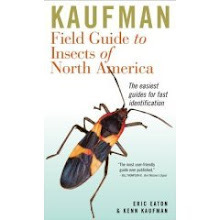 Werner and Olson summarized the biology of the species in their book Insects of the Southwest, under the name Bryotropha inaequalis. Online references frequently do not use any scientific name. The range of the Palo Verde Webworm is apparently restricted to southern California, Arizona, southern New Mexico, and Baja California Sur. 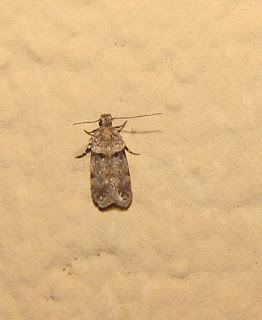 Adult moths have been taken from January to April, and also August, so there are probably several generations per year. 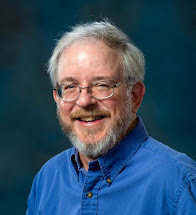 Sources: Powell, Jerry A. and Paul A. Opler. 2009. Moths of Western North America. Berkeley: University of California Press. 369 pp. Werner, Floyd and Carl Olson. 1994. Insects of the Southwest. Tucson, AZ: Fisher Books. 162 pp. do es the webworm hurt the tree?? 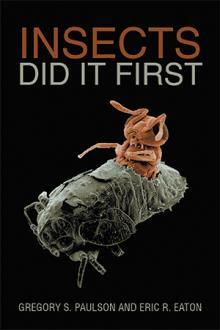 It is not a substantial pest, as far as I know.